The A90 southbound merge at Charleston will close this weekend for utility and cabling works. Diversions will be sign-posted as the AWPR junction will close tomorrow at 6am until Monday 18, June. from . Road users will be diverted via the A956 Charleston Bridge onto the A90 northbound to the Bridge of Dee. From there, they can join the A90 southbound. A Transport Scotland spokesperson said: “Subject to weather conditions, it will be necessary for the contractor to close the A90 southbound merge to enable essential utility and cabling works to be undertaken. 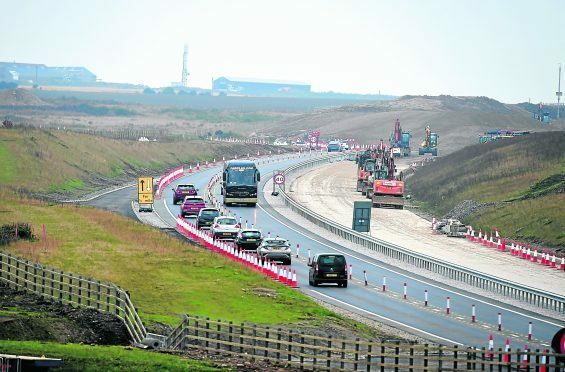 “Anyone planning to use the A90 southbound merge at Charleston should build in the possibility of a short delay to their journey so that they can reach their destination on time.